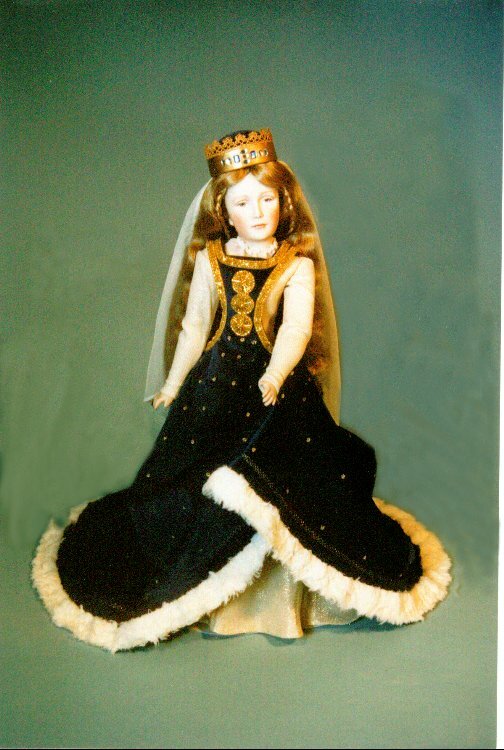 A.Marque--a reproduction of one of the most expensive dolls in the world. 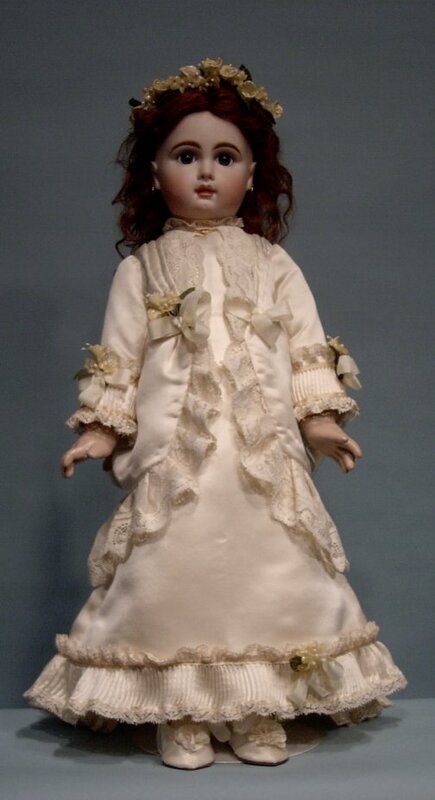 At a recent doll auction (6/2002), an original A.Marque doll sold for over $250,000. 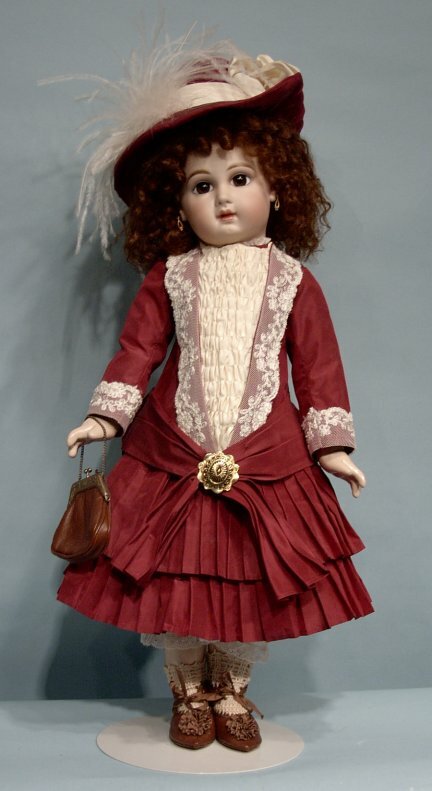 The features of this reproduction are carefully painted to be as close as possible to the original antique doll. 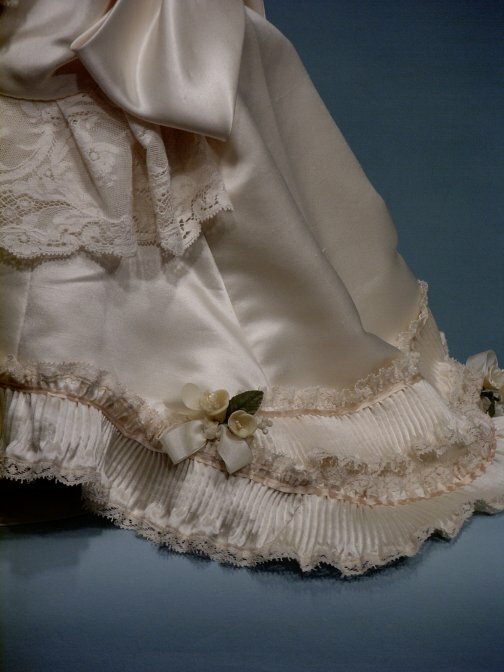 Her dress and underwear are cotton lawn with vintage and new cotton laces. She's wearing hand-knitted stockings and shoes of a fine brown leather. 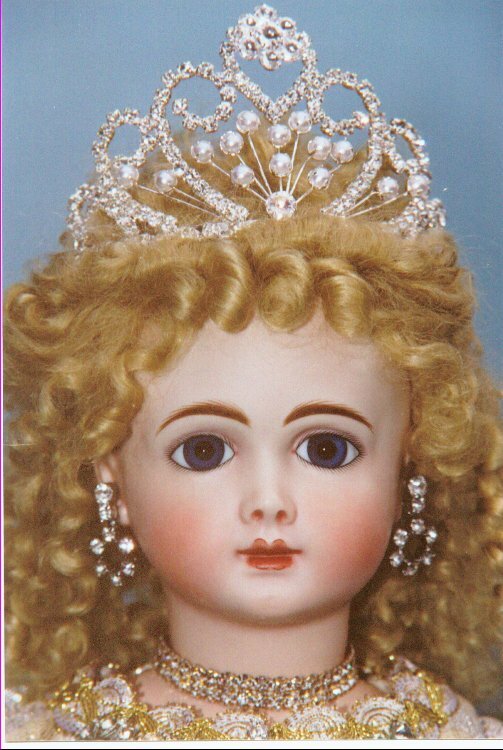 This sweetie has blue-gray eyes and a blonde human hair wig. 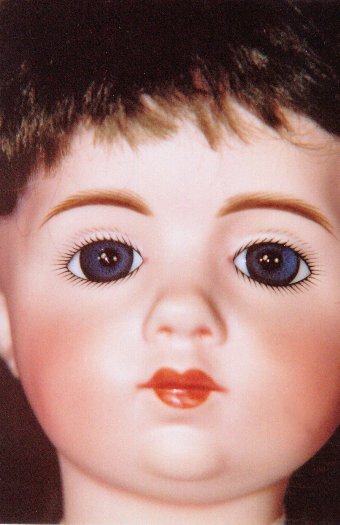 A.Thuillier (A.T.)--This A. Thuillier (A.T.) is reproduced from a very expensive French doll. An antique A.T. can sell for $25,000 to $50,000. 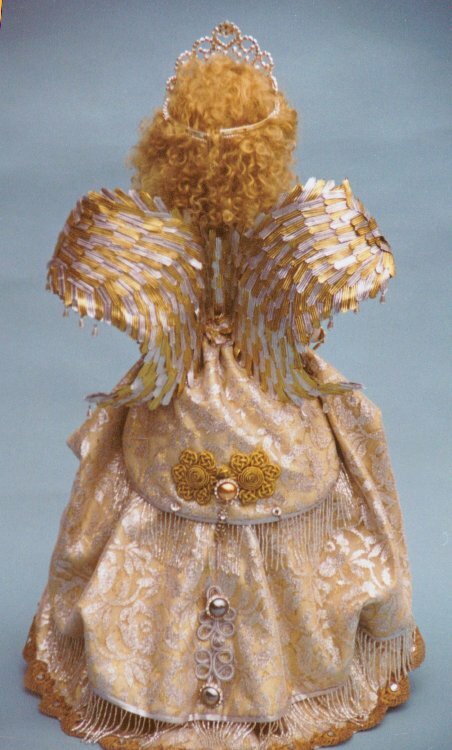 This doll is my version of Pat Allen's angel A. T. featured in Doll Crafter several years ago. My sister saw a picture of her doll and had to have it. 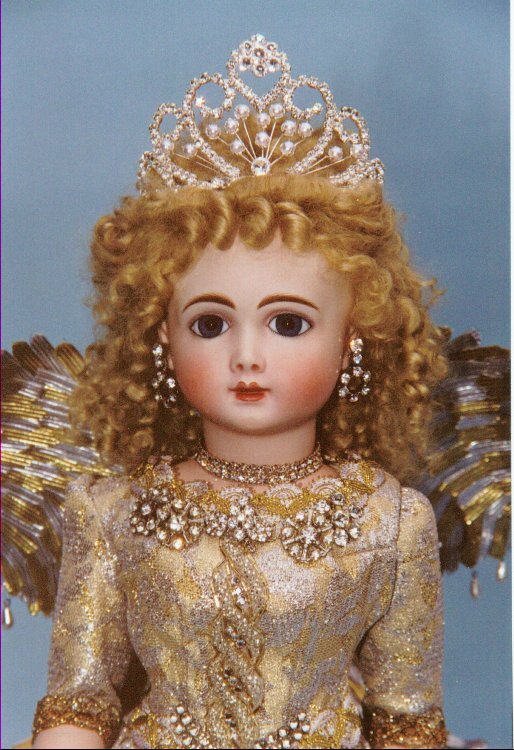 We both spent many pleasant hours at flea markets and antique malls looking for rhinestone jewelry to decorate the dress. The wings are wired buckram that has been covered by hundreds of individually cut pieces of braid. 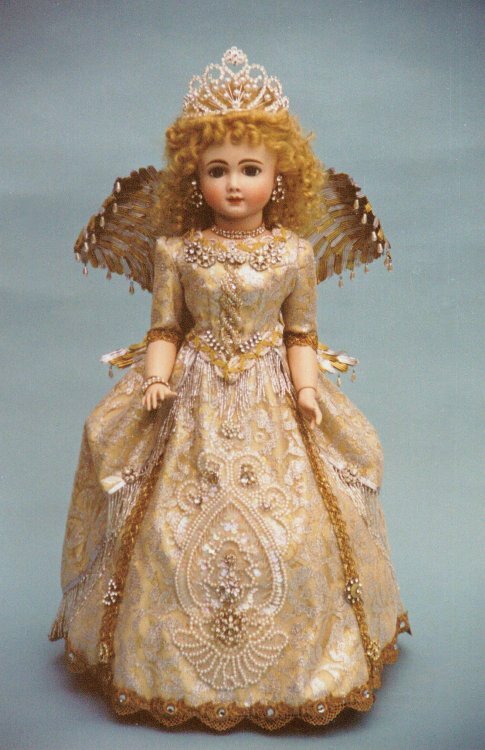 Simon Halbig 152--This is a very rare lady doll. 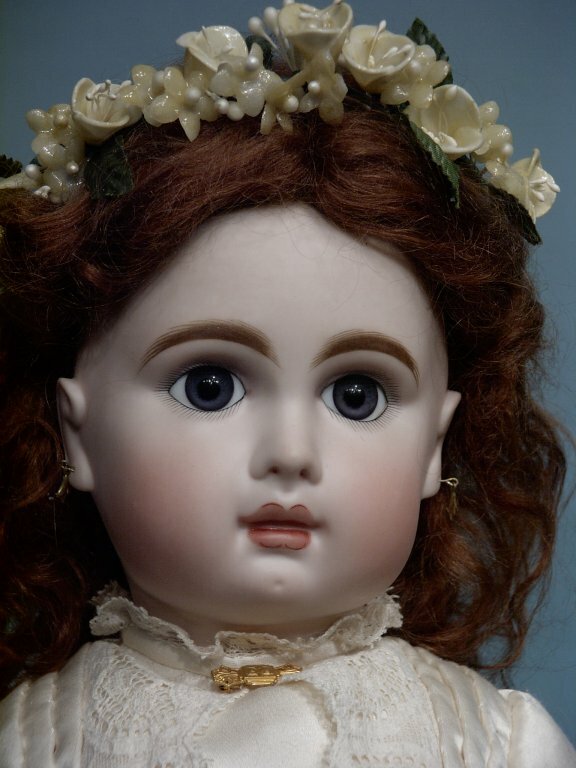 This doll is seldom available for sale at auction and when she is, she commands a price in the $20,000 range. 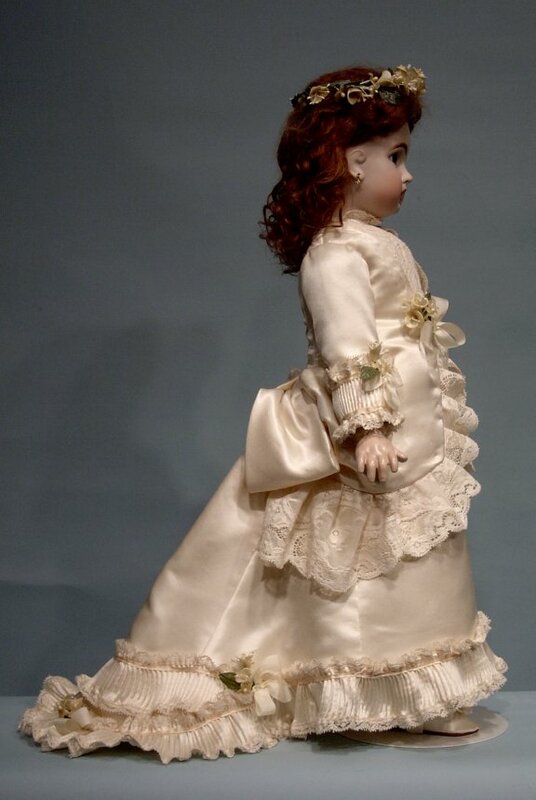 This doll has a shapely lady body with a small waist. She is wearing a blue velvet surplice lined in gold silk. EJ Jumeau--This is an EJ Jumeau. 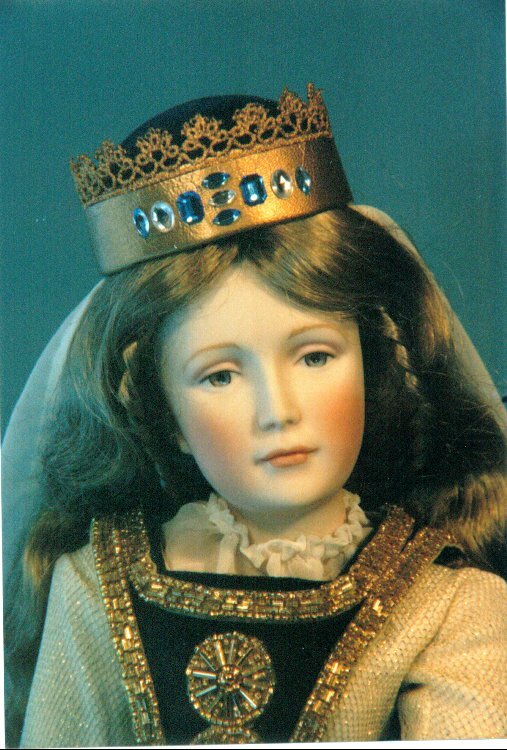 She has deep brown paperweight eyes and dark brown mohair wig. Her outfit is taken from an 1886 Delineator drawing and is made from red silk taffeta, with ivory cotton lace and ivory silk. Her bonnet is from red silk taffeta with a jaunty white feather trim. Tete Jumeau--This is a stunningly dramatic Tete Jumeau. 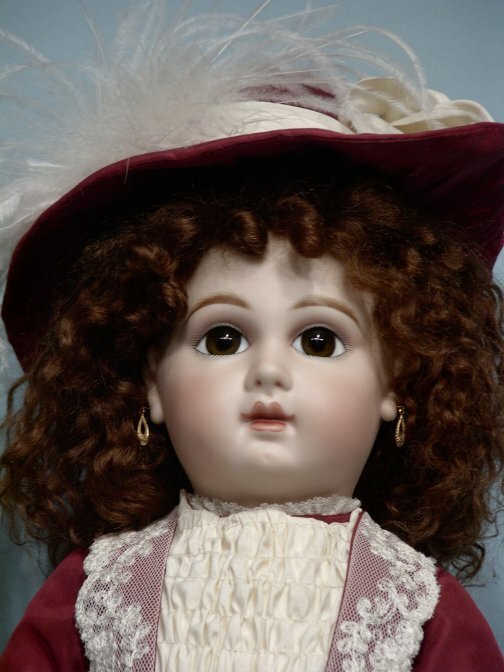 She has deep blue-gray eyes and an auburn mohair wig. 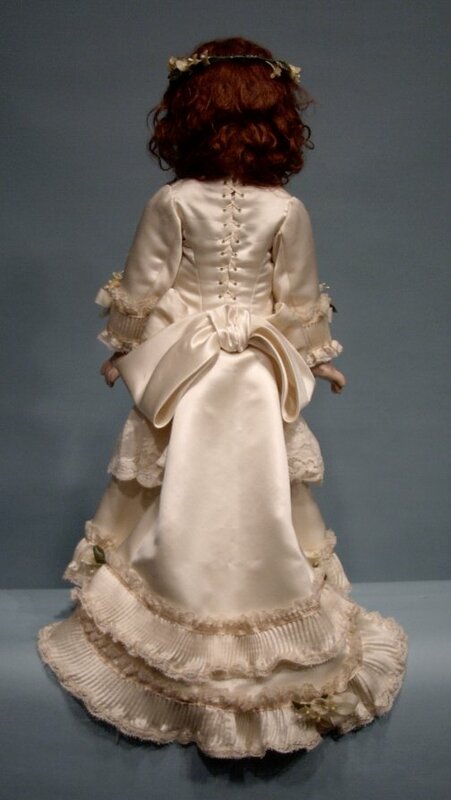 She is dressed in a ivory silk satin dress with tons of detail. The ruffle around the bottom was made on a quilting pleater and edged in lace on both sides. 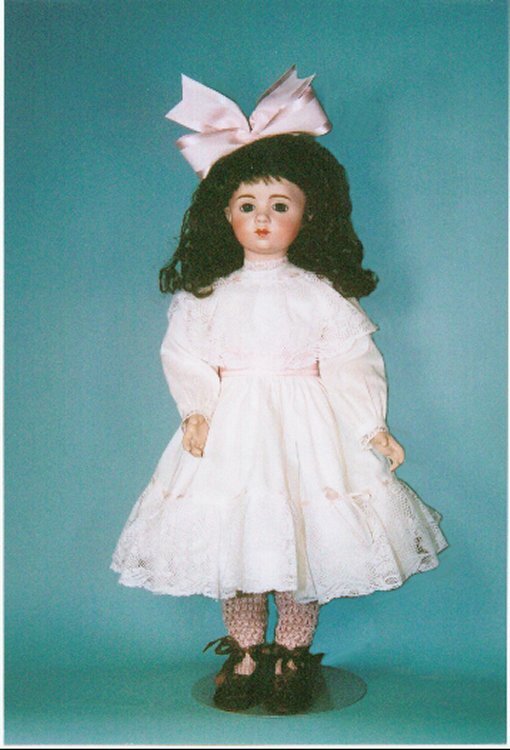 The flowers on her dress and in her hair are from a craft store and have been dipped in wax, with a coat of shellac to slightly yellow and age them. The dress is laced up the back, with a train and a large silk satin bow as additional decoration.